The procedure to place a dental implant takes 30-to-60 minutes for one dental implant and only 2-to-3 hours for multiple dental implants. The number of appointments and time required vary from patient to patient. The surgeon will bring great precision and attention to the details of your case. When you are comfortable, the surgeon makes a small incision in the gum tissue to reveal the bone, creates space using special instruments, and gently inserts the titanium implant. The top of this dental implant is often visible through the gum. Sometimes it is better in the early stages of healing to have the dental implant covered by the gum tissue. Questions about Dental Implants? Call our Arlington, VA office at ☎ Arlington Dental Implant & Oral Surgery Center Phone Number 703-566-1908, or our Waterfront office in DC at ☎ Waterfront Dental Implant & Oral Surgery Center Phone Number 202-733-1856 or Request an Appointment online. Occasionally, impressions are made at the time the dental implant is placed. 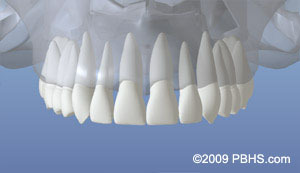 This enables the crown to be ready when the dental implants have healed. How long your mouth needs to heal is determined by a variety of factors. Follow-up care (one-to-four appointments) is usually needed to ensure that your mouth is healing well and to determine when you are ready for the restorative phase of your treatment. Implants are often placed several months after extraction. 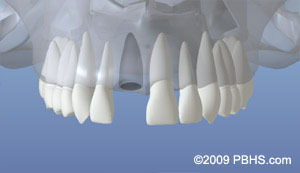 At times, an implant may be placed immediately after extraction of a tooth. This may involve a little more risk, but it simplifies the process — you won’t have to wait for another appointment to place the implant. When infection or other problems with the bone are present, immediate implant placement is not the best treatment. Most frequently, one dental implant per missing tooth is placed. Because many of the larger teeth in the back of your jaws have two or three roots, the most common approach is to replace missing back teeth with larger dental implants.